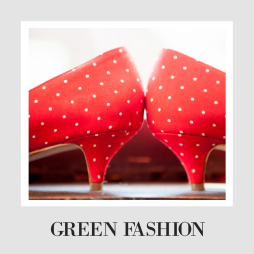 I have strayed away from this topic before, because it seems like one of the more obvious choices for greening your wedding- if you care about the environment, you have probably thought about this. 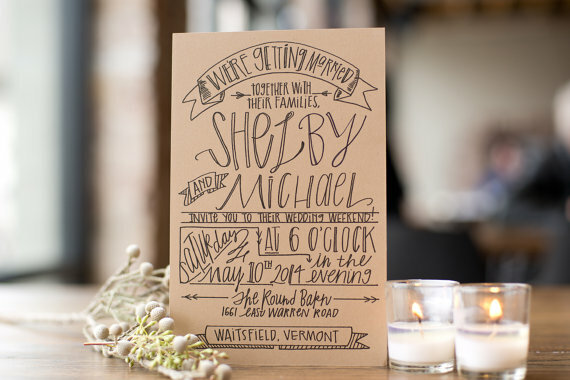 On the other hand, I know I thought that recycled invitations all have a very specific look. Like a mason jar wrapped in burlap, but in paper form. Like maybe some granola will fall out of the envelope. 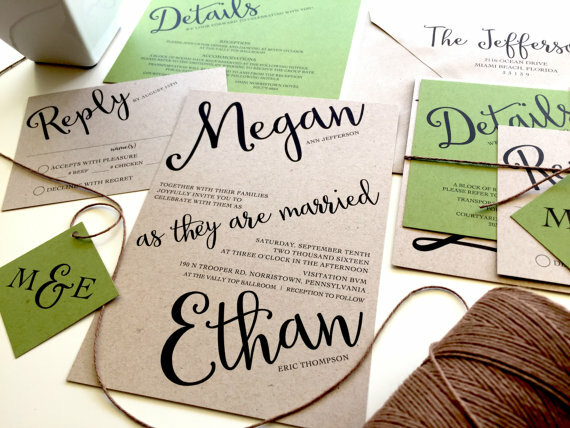 What is surprising is that you can get recycled paper invitations in ANY style. No matter what kind of scene you want to set, you can do it on recycled paper. Once you know recycled paper invites (and other wedding paper goods- save the dates, thank you cards, etc.) can come in as mainstream, traditional, quirky, indie, or whatever else style you want, it opens up the opportunity to do something good on the sly. You can find anything you need without one tree falling down, and in that way, your wedding is doing some real good. 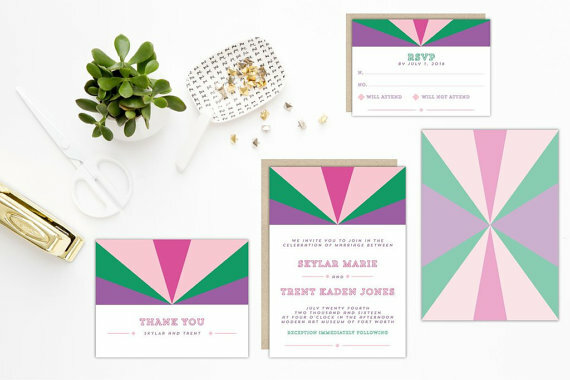 Here are some of the best options I found for Eco-Friendly wedding invitations that can be as unique or mainstream as you want them to be. Even if this isn't something you ever considered, be sure to take a look, because your wedding is a step into your future, and we all want a future with clear air. This ridiculously cool save the date and wedding invitation company gives you two eco-friendly options for your invites.First, you can buy plantable invitations! These are made of recycled paper with plants inbedded inside of them, so your guests can go plant them after the fact. If that feels a little too heavy-handed for your style, they have recycled paper options as well (they call them "new tree free- I love that!). I actually like the plantable designs better than the recycled ones, but there are so many options and you can probably find something that works for your plans. This is so unique and cool, and I think it sets the stage for a great wedding, whether you want to foreground your eco-friendly choices or let the day be about something else. Their prices are almost identical to shops like Wedding Paper Divas, so you won't be breaking the bank, AND you will be saving trees and even starting new ones! Either way, incredibly exciting. Why don't all companies work this way? Jealous you can't get married again to use this company? Me too! They also sell personalized business cards, invitations, and other stationary, so check them out. Lots of communities and cities have local options for calligraphers. It may be easier to get something online, but be sure to look around and see what is available near you, because dealing with an actual person can be more satisfying. You are supporting a local business, cutting down your weddings carbon footprint, and you can get exactly what you want. If you are particularly talented in this area (and you have a good chunk of time), you could totally make your invites yourself! It would be a special and memorable way to go about it, you could pick recycled paper and soy inks, and you will probably save oodles of money to spend elsewhere. 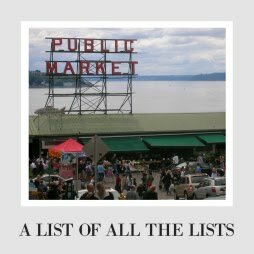 You can find eco-friendly papers at lots of these stores, like Green Field Paper Co. 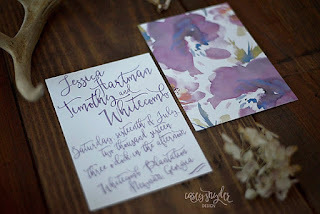 If doing the invites sounds like a lot, you can also consider how to use those skills or that beautiful penmanship elsewhere in the events; make the menu (maybe do one standing card per table or a large sign to cut down on paper), make seating charts or placecards or your programs. Paper comes in so many places, and anywhere you can consolidate or do it yourself, you can save money and save trees. If you are going local, which is awesome, be sure to ask them about recycled paper and soy-based inks. Part of the perk of dealing with a smaller company is that you can talk to them face to face and hopefully work out something that is perfect! This is a cool way to support your community and to help the environment. Loyal readers know I am obsessed with this company who use 100% recycled paper and plant a tree for every order sent (they have planted 500,000+ trees!). Paper Culture also have beautiful and truly modern save the dates, invitations, and thank you cards. We used them for our Christmas cards, and they turned out great! We bought our save the dates from this company, and they looked beautiful and used recycled paper and envelopes. One of the best things about this company is that they have a wide variety of designs coming from many different American designers, so you know your cards will have a style that matches you perfectly. This company always stays just a little bit ahead of trends, and their cards seem cool without trying too hard. They have almost a thousand options, and you can order most with recycled paper for 15-35 dollars extra (pretty affordable). I love them, and I think they are a great option. Bloomin also sells plantable wedding invites, save the dates, thank you's, seating cards. Basically the whole shebang. I love how broad their paper supplies are, And their designs are mostly simple and timeless (especially considering the whole thing will be buried in the dirt in no time). Waste free and really special, this might still be a great option for one of your other wedding paper needs outside of the invites themselves. In fact, my favorite might be "Growfetti" which would be a perfect substitute for bubbles (that come in little plastic containers), confetti, or rice. Just make sure it is alright at the place where you are getting married! A church lawn might not be the place, but a country wedding in a big field, it might be just fine. This store sells recycled paper, seeded/ plantable paper, and even paper made of hemp. Before you stick your nose up, be sure to check it out, because they have so many options you might actually find the perfect thing. They don't have a ton of options, and I am not in love with all of them, but some are great and might be just your style. Plus, you can choose which paper your design comes on, so you get to prioritize what matters most to you. As a side note, this company also sells Christmas cards, including ones made out of 100% junk mail. God bless this company, because that is genius. 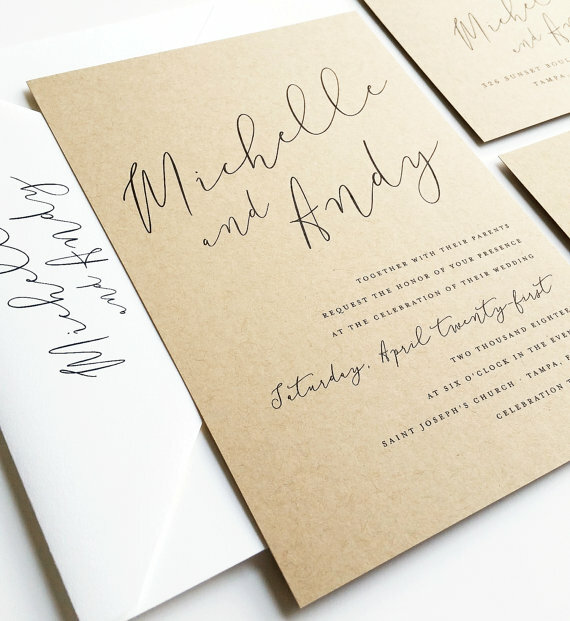 Recycled wedding invitations are becoming common enough now that lots of more mainstream companies like zazzle offer a recycled paper option. Another great option to look through if you aren't finding what you are imagining! This company is on the opposite end of the Zazzle spectrum. They make handmade recycled paper that is stitched into invitations. As someone who has handmade paper before, I can tell you a heck of a lot of time and love went into these beauties. You couldn't get something more precious and special unless you made it yourself. To be totally honest, I am not sure invitations need to be such precious objects; we have kept some wedding invites but they aren't particularly treasured. But if you are having a very small wedding, it might make a really cool splurge. 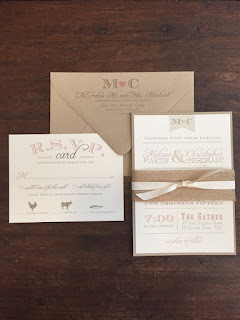 Ok, I am not suggesting you only use an e-invitation unless that suits you (or you are having a pretty informal or tech-savvy wedding), but skipping the rsvp and having people rsvp online is a super efficient and cost effective (see also- free!) way to help the environment. If you send 100 invitations, just skipping the RSVP saves 100 pieces of paper and 100 envelopes. If you skip the whole invite, that is even more. If you are going that route, you can always do something simple like The Knot or wedding Jojo, or if you have the skills, pick something more open-ended, you techie you. Maybe you can't get your invites in these cards, but you could get your thank you cards there! It would be a simple way to have your wedding do some good- every card you buy will pay for a tree. So if you send 50 thank you cards, you also plant 50 trees. That's pretty amazing when you consider how many trees come down a year for wedding invitations. This is the tip of the iceberg- be sure to explore the links. I know when I was shopping, I looked for the perfect style that perfectly matched our colors and style and theme, etc etc. I did it, but I still wish I had prioritized differently. You can find that thing that is exactly what you want aesthetically, but we are asking you to This blog is suggesting that if you narrow the field to be "new tree free," you will end up something that may not be "perfect," but you will love it just as much, and you can feel really good about it. It should be stationery, with an "e", not stationary. I love these styles! Beautiful, and they are good for the environment too. These would be useful for other events too. I love the idea of recycled paper invites! And it’s awesome that so many mainstream sites are starting to carry them. I wish they had this when I was getting married! I wanted to avoid paper with our wedding entirely, so we went electronic. but these are great ideas! I wish I had of thought of something similar when we had our wedding. I love the look of these - so creative, and so me!